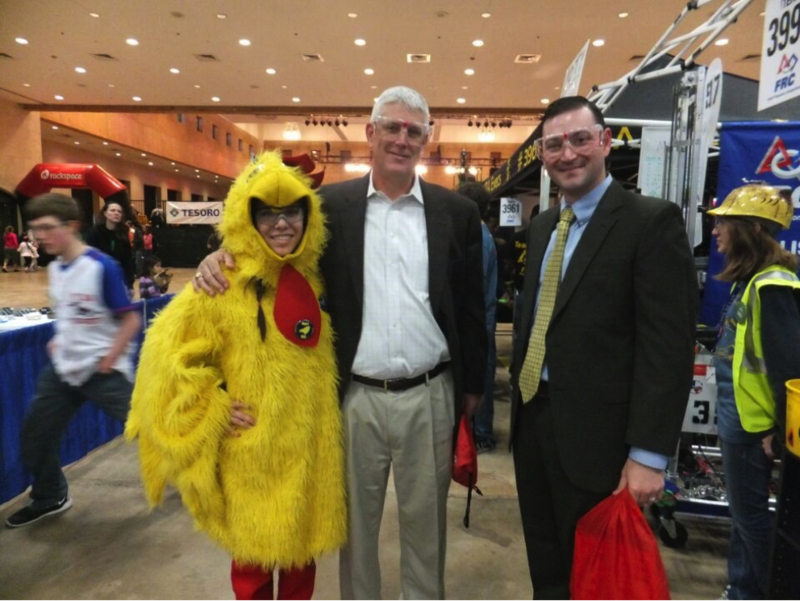 Booz Allen Hamilton is proud to sponsor teams from South San Antonio High School, Virginia Allred Stacey High School, and the “Screaming Chickens,” a team representing students from several area schools. Booz Allen gives each team a grant of $2,500 along with the guidance of a skilled Booz Allen employee as a mentor. The firm is also a sponsor of the San Antonio event. Booz Allen is a top employer for STEM professionals and many of its employees donate their free time in support of a broad range of STEM programs and mentorships like FIRST. During the 2014-15 season, employees mentored 72 FIRST teams (1,600 youth) in 15 states and the District of Columbia. Earlier this year, the firm joined the ranks as a designated FIRST® strategic partner—one of only 18 organizations to achieve such recognition. As part of the weekend’s events, three Booz Allen women – Alison Lambert, Kelly Vanoy, and Monica Simpson - will participate in the “Women are FIRST” networking breakfast for girls who are interested in STEM. Texas is leading the way in introducing kids to STEM, with robotics named a University Interscholastic League activity. Read more. Read more about Booz Allen Hamilton’s commitment to STEM.